If it is an emergency to you, it is an emergency to us. Our office is equipped with trained professionals to help you out in an emergency dental situation. We are conveniently located off of Routes 3 and 495 and proudly provide emergency dentist service to the Westford, MA and surrounding areas. Some of the most common dental emergencies listed below are easily contained by calling our office whether you are a new patient or an existing patient. 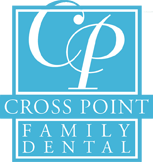 At Crosspoint Family Dental, we have everything needed to help you with your dental emergency. From sedative fillings to difficult extractions we not only take care of your emergency condition but offer you options for any follow up procedures that may be necessary. When it comes to tooth pain, we usually want instant relief no matter how minor. Avoid hot or cold foods to decrease sensitivity. Rinse with warm water & salt. Take an over the counter pain reliever like Tylenol or Ibuprofen (great for swelling too!). Oil of cloves is an excellent choice for a topical pain reliever. Using a cotton swab apply a drop to affected area. Oil of cloves contains eugenol and can work better than benzocaine. Contact an emergency dentist in the Westford, MA area at Crosspoint Family Dental if you have a dental emergency.